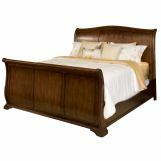 Create a warm and inviting setting in your bedroom with the dignified style of the Whitley Court Collection by New Classic. 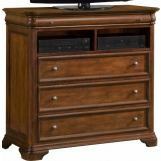 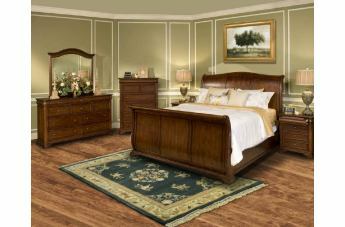 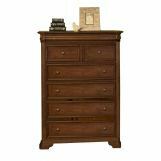 Each piece is finely crafted using maple birch solids and other veneers with a vibrant tobacco finish. 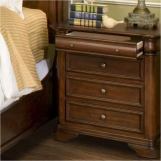 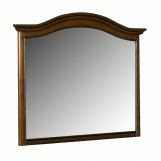 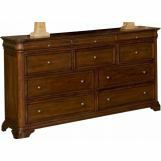 The dresser, chest, and nightstand feature full extension drawer glides and English dovetail construction for durability and felt lined top drawers to protect valuable and delicate items.